Use my daily food group checklist to stay within recommendations and get enough food from each food group each day. 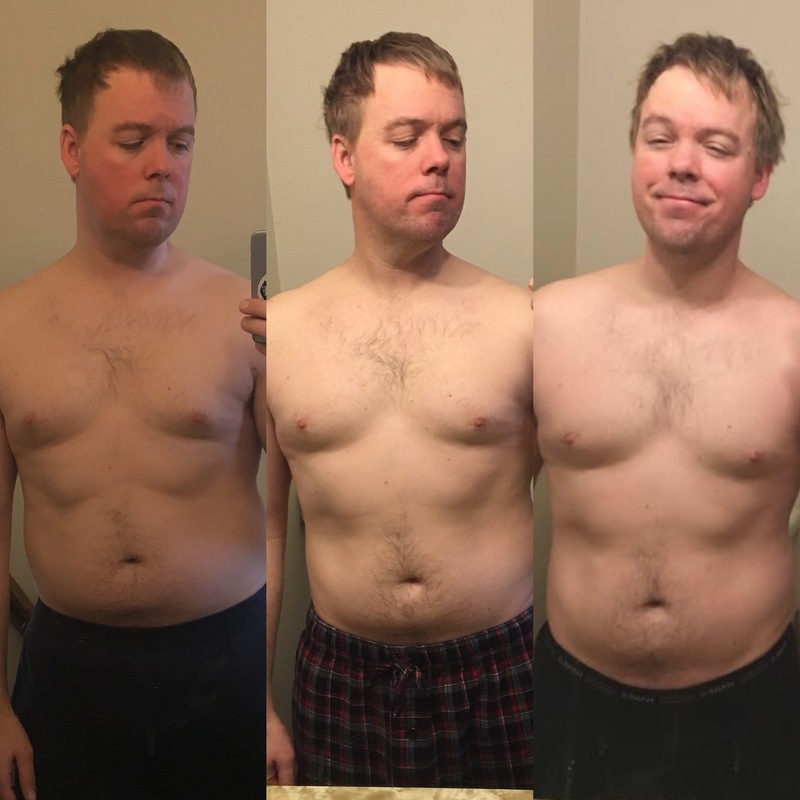 How I’m doing: As you may have read in this post, I put on about 3 lbs throughout this month and I have since lost them again. So overall, this month has been basically a wash as far as weight and I’m still about 1.8 lbs above my previous normal. I’m thinking a couple things: 1) I may switch temporarily to a more detailed form of tracking intakes (like My Fitness Pal), just to make sure I’m not missing my goals without realizing it. 2) My body may be happy at this new weight. I won’t try to force it, and my weight is in a healthy range and not negatively affecting my health. If it doesn’t want to go down any more, that’s okay with me! How I’m doing: Pretty well overall. I haven’t been missing days, but I’ve had a couple of days of workouts that have been cut short by a tighter time schedule. I recently had my blood pressure checked and it was normal! Yippee! I can definitely tell that my cardiovascular fitness is improving because I’m having to increase the intensity of my workouts to hit my heart rate goals. Plus, I made it up and down “the stairs” 10 times the other day! I had hoped to do that by the end of the three months, but I hit that over a month early! I’m so happy with the improvements in my cardiovascular fitness. A few months ago, it snowed here and my family and I went out to have a snowball fight. I had only run around for a few minutes and my chest was tight and I was pooped. 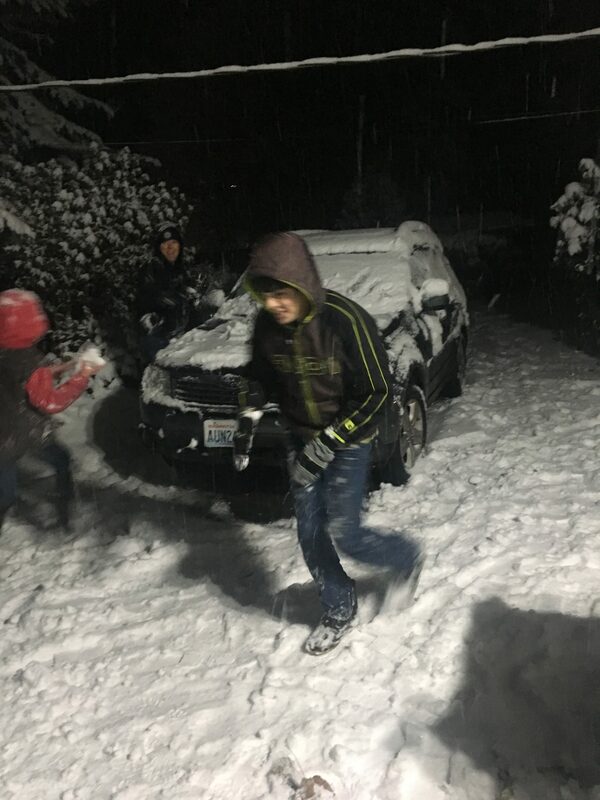 Three weeks ago it snowed again, and this time, I snowball fought with the best of them (my family is just a tad competitive) for 20-30 minutes with no trouble at all! That was very rewarding and a sign that I’m heading towards my “end game” of never having my fitness (or lack thereof) hold me back from anything I want to do. How I’m doing: I’ve been consistent with my yoga and I’ve been also completing some yoga challenges on Instagram that have been a fun addition to my normal practice. My before-and-after pictures were really fun this month! I noticed primarily a HUGE difference in the position of my shoulders between February and March. Look how much less rounded they are! I’m so pleased with that. You can also see that each month my back is slightly less arched and my pelvis is slightly less tilted forward. 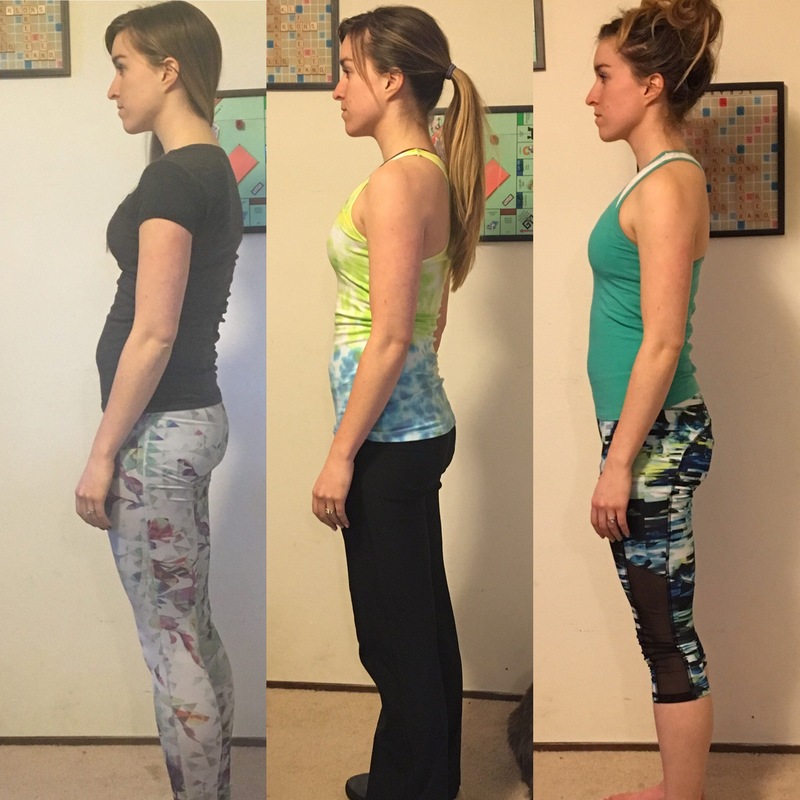 It’s so crazy how you don’t notice the differences in your posture until you line the pictures up side by side. How he’s doing: Charlie continues to track every day. He finds it gets easier as time goes on to stick with using the app to track. It became a habit for him and he never forgets. Occasionally he intentionally decides to eat more than his caloric goal, but it is not very often and he still tracks it for awareness, accountability, and consistency. Tracking is definitely not right for everyone, but it’s working for him. He lost another 4 pounds this month for a grand total of 14 pounds. He hasn’t tried the pants yet – he’s saving those for the end of the goal-getter package! Can you tell he had just woken up in the last photo? Haha! How he’s doing: He is doing well and staying consistent, but definitely ready for the P90X program to be over. He is finding the P90X videos to be very time-consuming and don’t leave enough extra time for other activities like weight lifting. How he’s doing: Charlie has compromised to doing yoga three times weekly, and says his flexibility is WAY better than it used to be, which makes him feel better all the time and improves his workouts, posture, and the feel of his joints. We’ve got one more month of our goal-getter package before we run all of the fitness and body composition testing again to see how far we’ve come! Check back to see how we did! Want help meeting your own goals? Visit www.impowerednf.com for more information about meeting with me to set up your wellness plan! Previous Post March is National Nutrition Month – Check out this great discount!